Alpaca fiber is still relatively scarce. The Alpaca Registry (formed in 1984) was closed to new alpaca imports to the U.S. in 1998. Registered alpacas in the U.S. today is merely 165,000. The terms “luxury” and “alpacas” are becoming synonymous, rivaling cashmere and angora for appeal. Slowly but surely this public appreciation is causing more people to own alpacas and market their fiber. 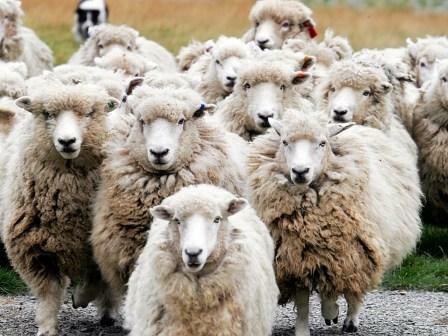 Compared to sheep wool, alpaca fiber is unique and superior in many ways. 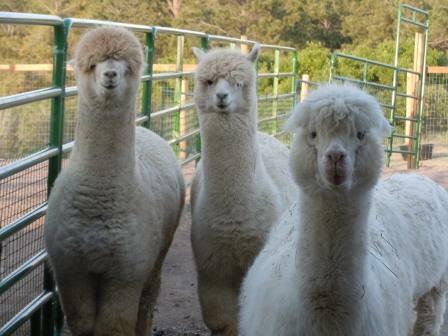 Alpacas do not produce lanolin, so their fleece is cleaner and easier to process. 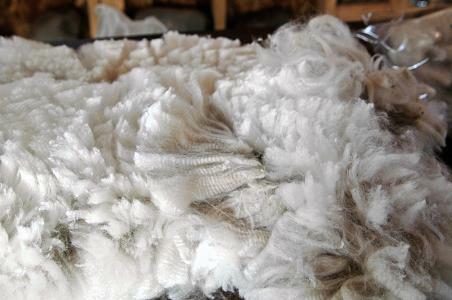 This lack of lanolin and much shorter “scales” on the fiber make alpaca fleece both hypoallergenic and soft. 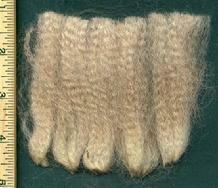 Alpaca fiber is classified as hair since it is hollow and acts like goose down. The downy softness of the hollow core alpaca fiber makes it amazingly warm, yet light as a feather, and, therefore perfect for lace-weight yarn – lightweight warmth! Fiber “fineness” is measured in microns. Scythia has fleece that is the softest and finest classification of “Royal baby”, which is 18 microns or less (the smaller the number, the finer the fiber). Other grades are Superfine (19 – 20 microns), Fine (20 – 25 microns), and Medium (25 – 30 microns, generally not suitable for next-to-skin garments). Scythia has excellent genetics, and although they play a strong role in determining the fineness of fleece; diet, environment, and hormones also effect the fiber’s diameter. 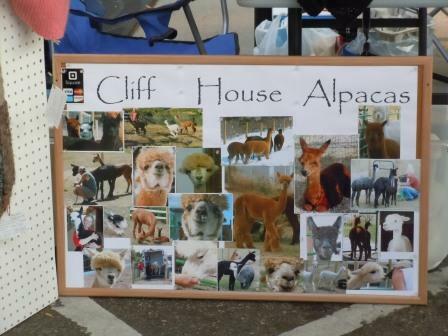 Truthfully, no alpacas could have a happier home or healthier care than the Cliff House alpacas! There are two types of alpaca fleece – huacaya and suri. Huacaya fleece has more of a natural wave or “crimp” which helps the yarn made from it retain its shape over time. Suri fleece is longer, smoother, and premium due to its natural luster that does not diminish during processing – making radiant yarn! Cliff House alpaca Bravado (aka “Surfer Dude”) is a suri. 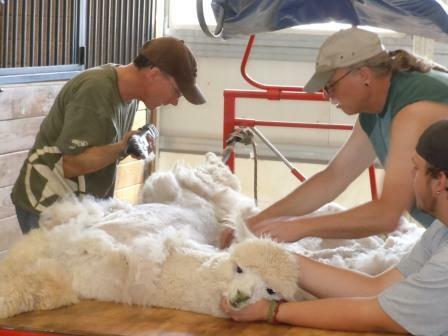 Alpacas are generally sheared once a year – Cliff House will be shearing in early May this year! A single alpaca can produce 3 to 10 pounds of fleece annually, but more typical yields are between 4 and 5 pounds, depending on the density of the fleece. 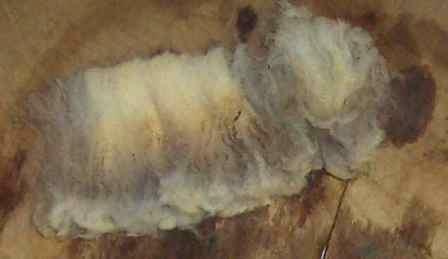 The fleece from a mature alpaca is normally between 3 to 6 inches in length – important only to us spinners! But, the yield from one alpaca is typically enough to make only a single sweater! All in a year’s work………….. This entry was posted in business and tagged alpaca fiber, alpacas. Bookmark the permalink. Hey – thanks for the wonderful job of being my photojounalist! Mom and Dad get the credit there. They’ve really stepped up to the plate on this whole blogging thing! Fascinating. There was a lot there that I didn’t know. Thank you for telling it so nicely. Now I can’t wait to see your yield. Knowing you I think your statistics will be great and then of course, you can compare with last year and next year. I wonder if I’ll get to buy some of your Alpaca to spin with?